Printed circuit boards for a first version prototype have been designed and populated. Button options are being tested. Enclosure prototypes have been 3D printed (first step towards ordering aluminium milled parts). UI design is ongoing but further software refinements are still required (please see this page's footer if you'd like too assist). AXIOM Team Talk 14.3 (Oct 2018) covered AXIOM Remote development progress. 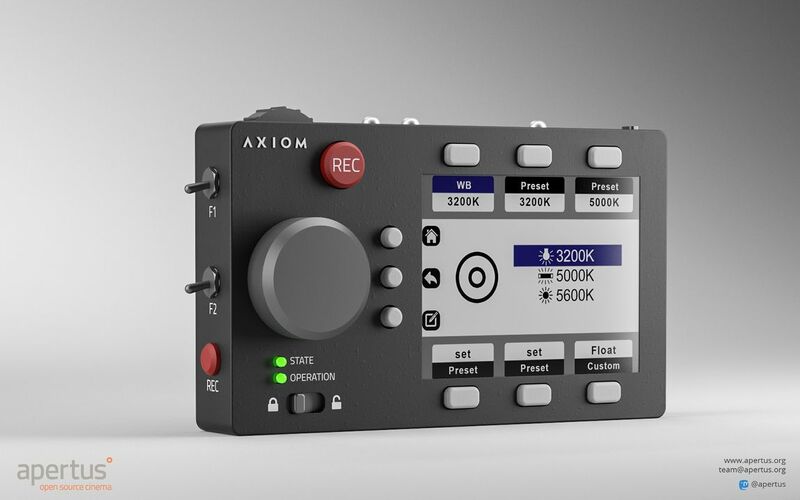 AXIOM Remote Concept Rendering 2018 - Note: Design is subject to change as improvements are made.